Let me start a series of posts about Latin American poets. Firstly, I would like to direct your attention at Pablo Neruda. Pablo Neruda was the pen name and, later, legal name of the Chilean poet, diplomat and politician Neftali Ricardo Reyes Basoalto. He chose his pen name after the Czech poet Jan Neruda. 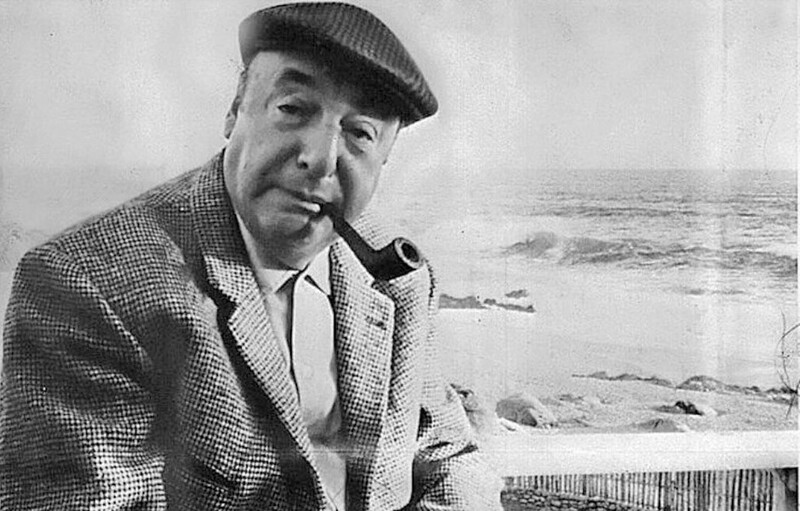 In 1971 Neruda won the Nobel Prize for Literature. Neruda became known as a poet while still a teenager. He wrote in a variety of styles including surrealist poems, historical epics, overtly political manifestos, a prose autobiography, and erotically-charged love poems such as the ones in his 1924 collection Twenty Love Poems and a Song of Despair. He often wrote in green ink, which was his personal symbol for desire and hope.